Getting passports and visas for your holiday implies doing a lot of rounds to the official places and waiting in the long queues. This task can be taken care of by our team. We are a reliable Passport and Visa Services provider in Chandigarh, operating in the tourism industry since 1989. 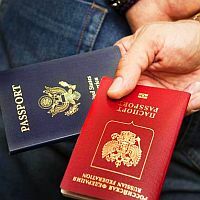 If you are planning your next trip to a foreign land, avail our Passport and Visa Services to free yourself from such worries and focus only on things you want to do during your holiday.